Sen. Kamala Harris (D-CA) recently bragged about smoking marijuana in college, but Sen. Cory Booker (D-NJ), her fellow 2020 rival, wasn't amused. 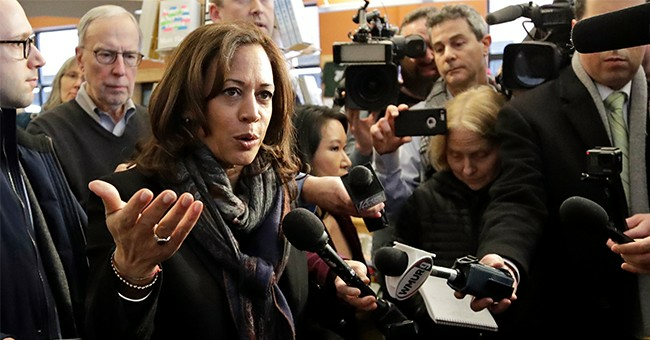 Harris noted that she was listening to Tupac and Snoop Dogg while inhaling. The drug, she reasoned, "brings people joy." Harris, though, seems to agree with that last concern. In her now controversial February interview, she said one thing she did "take seriously" was the need to legalize marijuana. In part, she said, so there could be more research done on cannabis and to address the high rate of incarceration among minorities. It's clearly an issue often on Booker's mind. He recently introduced the Marijuana Justice Act, which would end federal marijuana prohibition.